A historic summit with North Korea, Rafael Nadal clinches French Open record, a raccoon becomes an internet sensation, and more. 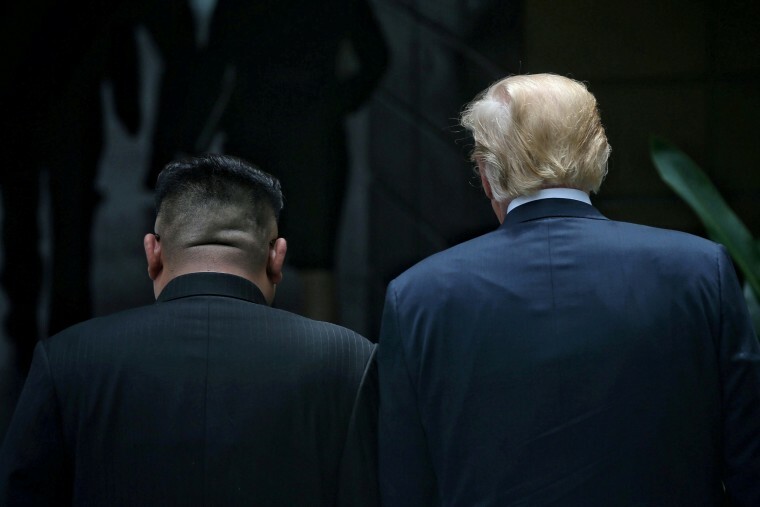 North Korean leader Kim Jong Un and U.S. President Donald Trump begin a historic summit at a hotel on Sentosa island in Singapore on June 12, 2018. 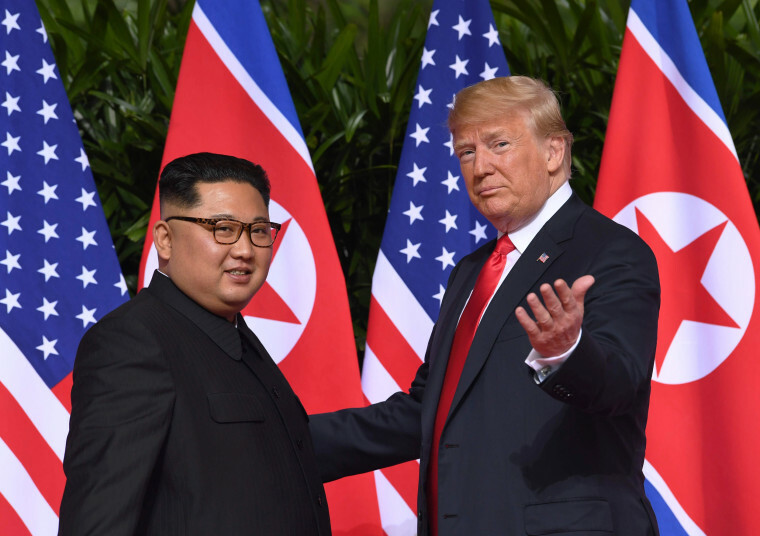 Standing on a red carpet in front of a row of alternating U.S. and North Korean flags, the leaders shook hands warmly, creating an indelible image of the two unorthodox leaders. They then moved into a one-on-one meeting, joined only by their interpreters. 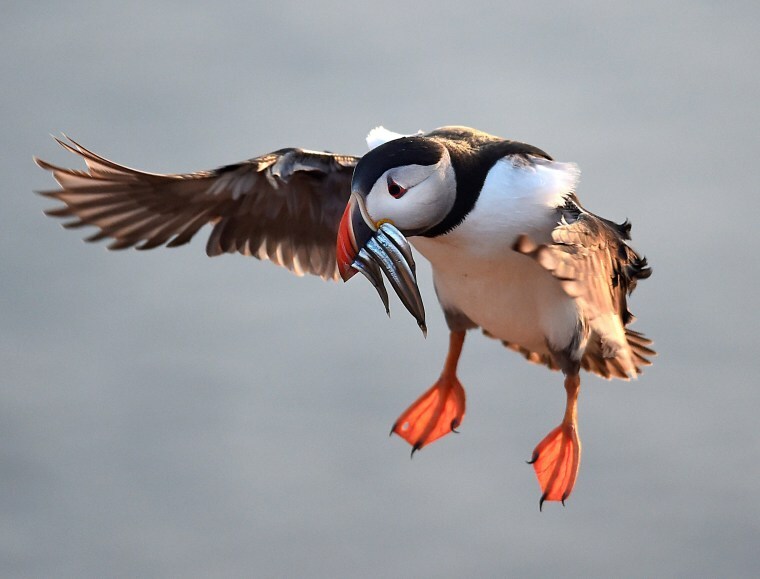 An Atlantic Puffin with sand eels in its bill flies to its burrow on the island of Skomer, Pembrokeshire, one of the most important wildlife sites in Europe and the breeding place for over 30,000 of the birds, in Wales, Britain, on June 9. 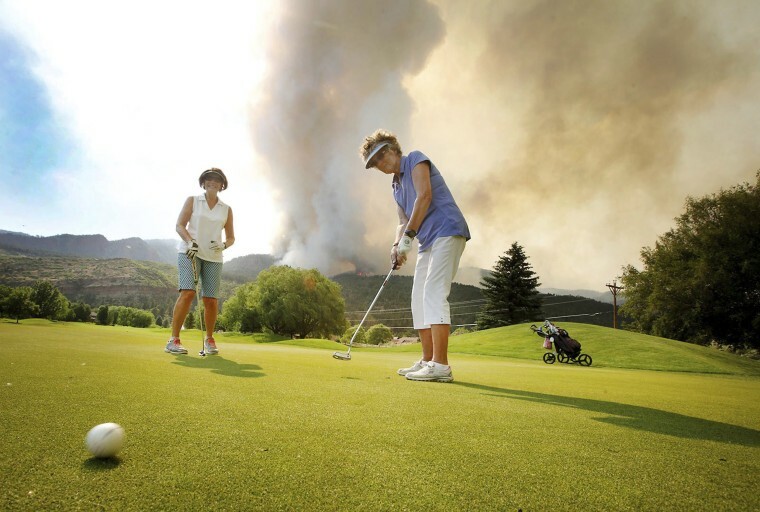 Sandy Elliott follows her putt while playing a round of golf with Marlene Gebhardt at the Dalton Golf and Country Club as a wildfire burns behind them near Durango, Colorado, on June 12. The two women had been monitoring the fire for days and decided they couldn't sit around everyday, so they took to the golf course. 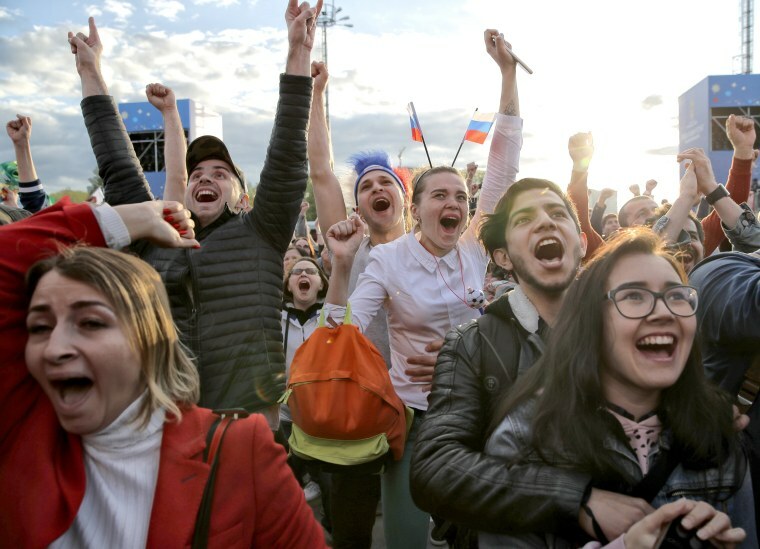 Fans celebrate after Russia scored the first goal during the opening match of the World Cup, between Russia and Saudi Arabia, from the fan zone in Yekaterinburg, Russia, on June 14. The Russian team kicked off the tournament with a 5-0 rout of Saudi Arabia in a match between the lowest-ranked teams. 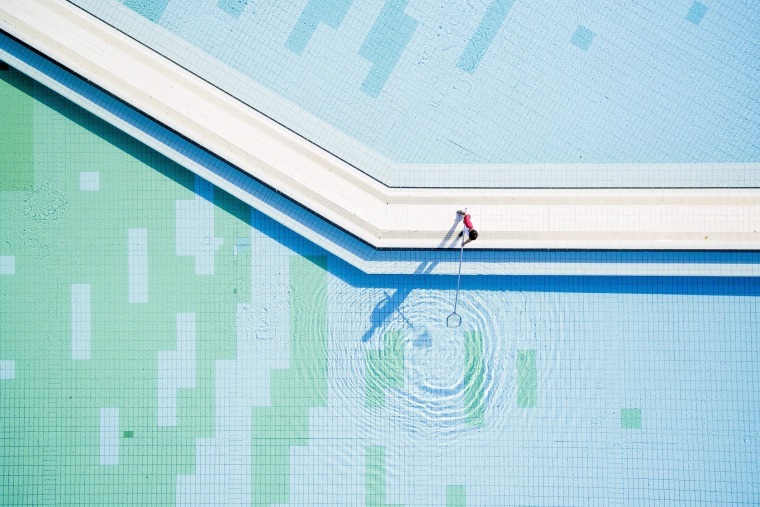 A worker cleans a pool at a spa in Harkany, Hungary, on June 11. 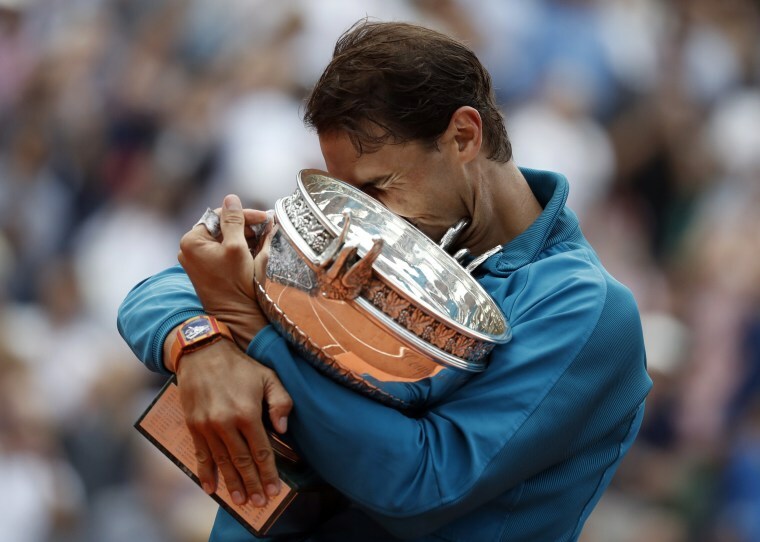 Rafael Nadal of Spain celebrates with the trophy after winning the French Open championship against Dominic Thiem during their men's final match at Roland Garros in Paris on June 10. Nadal's record-extending 11th French Open title raised his Grand Slam trophy count to 17, three away from the men's record held by Roger Federer. 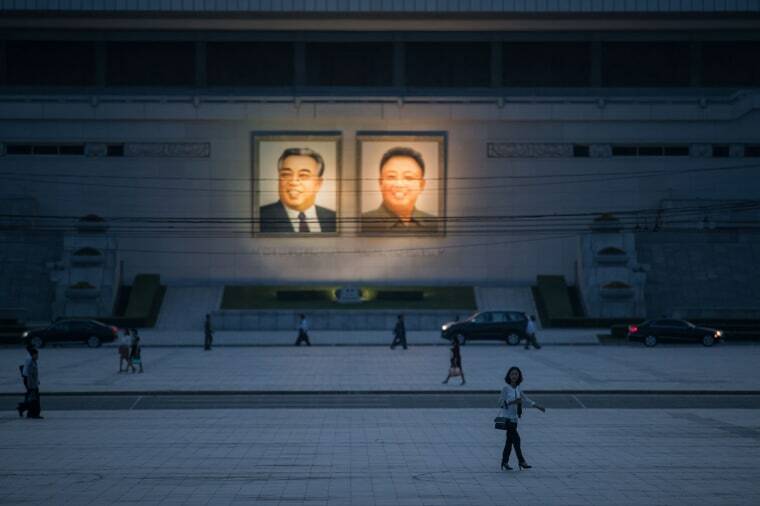 Pedestrians make their way past the portraits of late North Korean leaders Kim Il Sung and Kim Jong Il displayed in Kim Il Sung square in central Pyongyang on June 12. 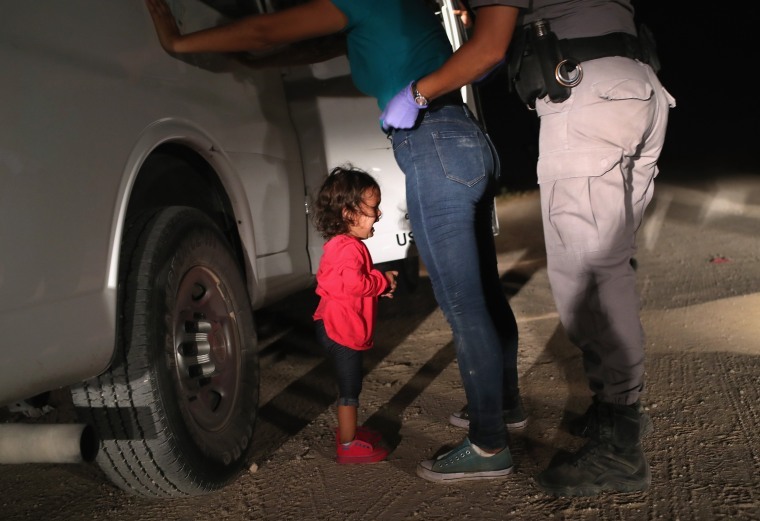 A two-year-old Honduran asylum seeker cries as her mother is searched and detained near the U.S.-Mexico border on June 12 in McAllen, Texas. The asylum seekers had rafted across the Rio Grande from Mexico and were detained by U.S. Border Patrol agents before being sent to a processing center for possible separation. Children and parents are being separated at the southern border as a result of the Trump administration's "zero tolerance" policy for those entering the country illegally. Under the directive, families crossing the border are routinely referred for criminal prosecution. Previously, families were often sent to civil deportation proceedings, which allow children to remain with their parents. 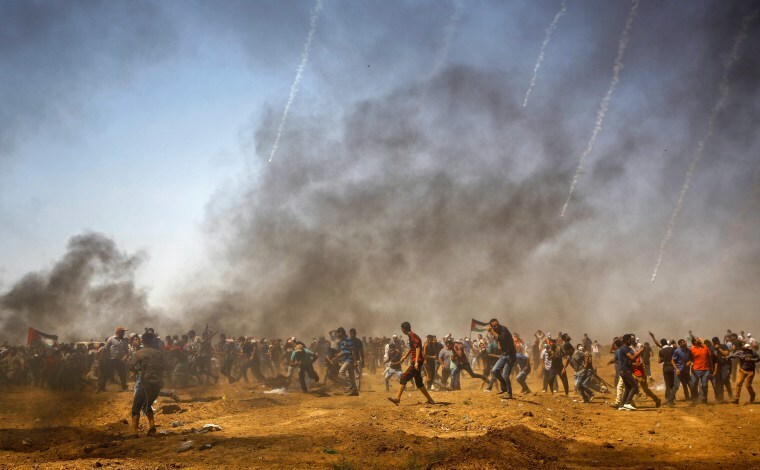 Palestinian protesters take cover from tear gas during a demonstration along the border with Israel in the central Gaza Strip on June 8. 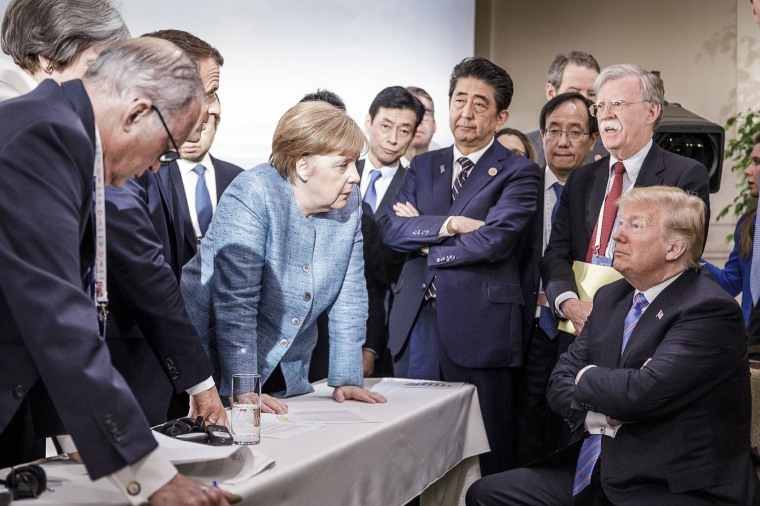 German Chancellor Angela Merkel, center, speaks with U.S. President Donald Trump, seated at right, during the G-7 summit in La Malbaie, Quebec, Canada, on June 9. Japanese Prime Minister Shinzo Abe stands next to Trump, also with folded arms, as French President Emmanuel Macron leans in next to Merkel. The gathering was marked by sharp disagreements over Trump's decision to impose higher import taxes on aluminum and steel imports. The G-7 summit participants managed to patch over their disagreements and agree to disagree on some issues in a joint final statement. Yet after leaving the summit, Trump tweeted that he would instruct U.S. officials not to endorse the G-7 statement, after objecting to comments from summit host Trudeau. 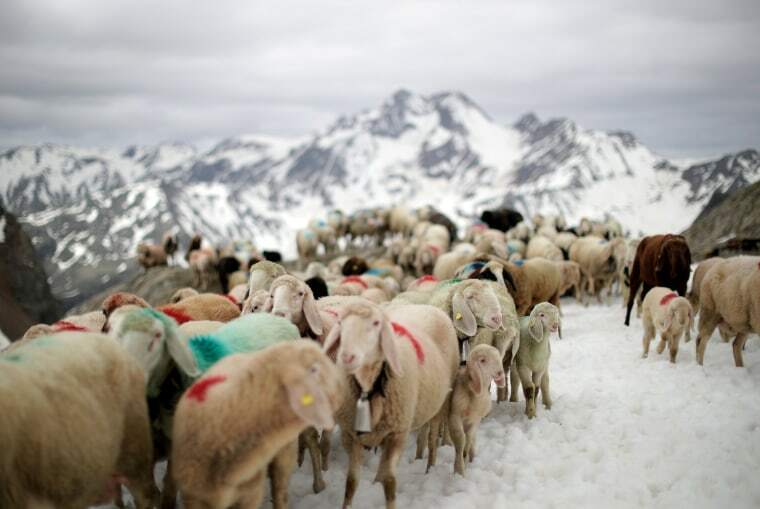 Shepherds lead sheep through an alpine crossing in South Tyrol, Italy, on June 9. Over ten hours, they climbed 2,600 feet to the Hochjoch pass, corralling the animals over snowfields, along narrow, rocky paths and at one point, across a suspension bridge, single file. By the end of it, the 1,500 sheep reach their summer pastures in Oetztal - a 10-mile trek from one valley to another that has survived wars and outlasted empires. 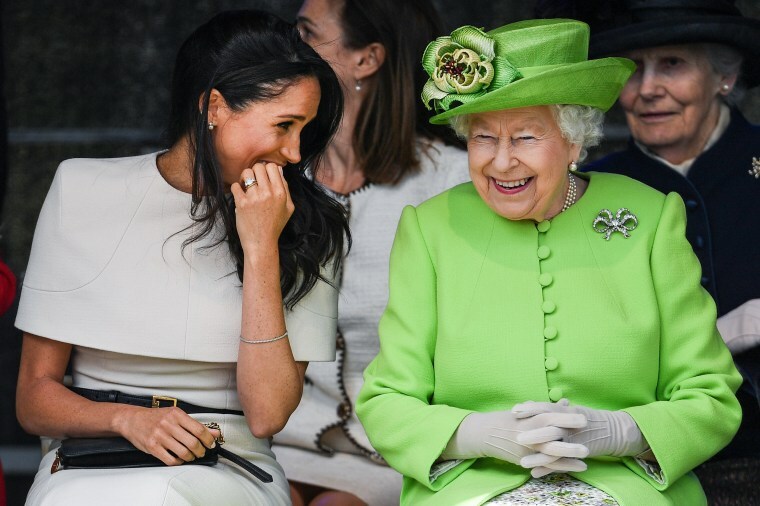 Queen Elizabeth II laughs with Meghan, Duchess of Sussex, during a ceremony to open the Mersey Gateway Bridge on June 14 in the county of Cheshire, England. Crowds cheered them on during their first official joint royal trip without Prince Harry. The duchess, a former actress on the TV show "Suits," is easing into royal duties after marrying Prince Harry last month. 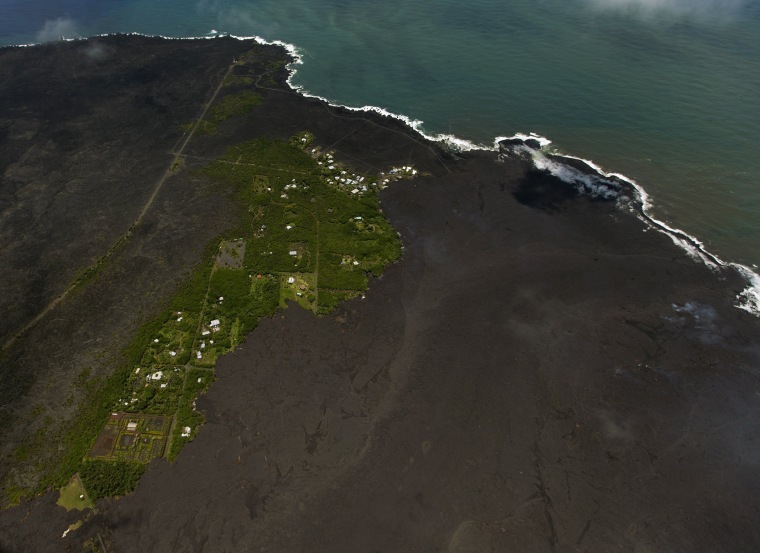 Fresh lava covers most of the Kapoho area including the tide pools, leaving few properties intact as the Kilauea volcano eruption continues on June 6 in Pahoa, Hawaii. 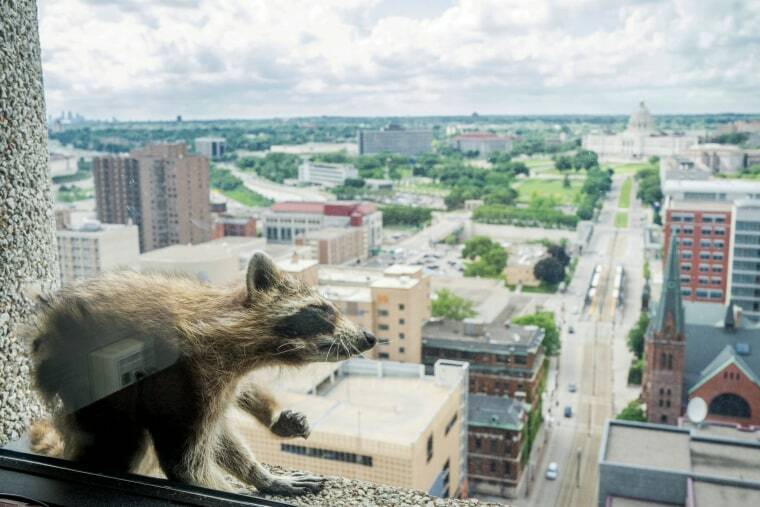 A raccoon sits on the ledge of an office window on the 23rd floor of the UBS Plaza building in downtown St. Paul, Minnesota, on June 12. The critter became an internet sensation by scaling the 25-story office tower, and was safely trapped by animal control early Wednesday. The caged raccoon looked a bit bedraggled but healthy after it was caught before dawn atop the UBS Plaza. Technicians took the animal down a freight elevator to a truck and planned to set it free in a wooded area. 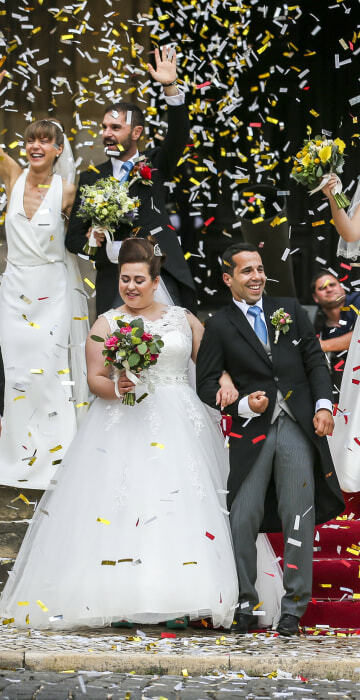 Newlywed couples pose after getting married at the Cathedral of Lisbon in Portugal on June 12. 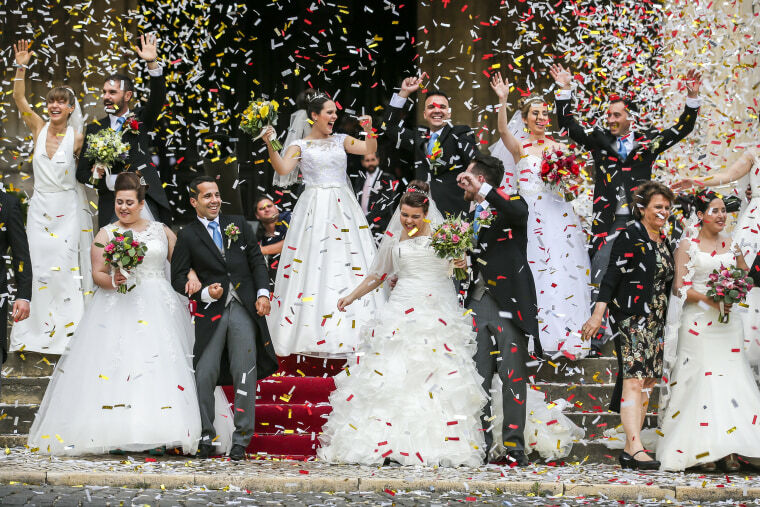 Sixteen couples were married during the event named after Saint Anthony of Padua who was born in Lisbon and considered a matchmaker. 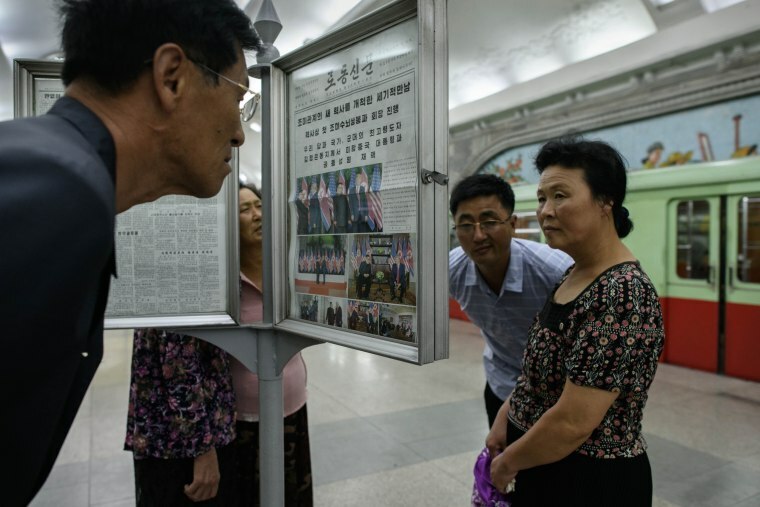 Commuters read the latest edition of the Rodong Sinmun newspaper covering North Korean leader Kim Jong Un's summit with U.S. President Donald Trump on the subway platform of the Pyongyang metro on June 13. Even Pyongyang is calling the meeting in Singapore "historic," underscoring just how much of a propaganda coup North Korea saw in Tuesday's unprecedented summit. 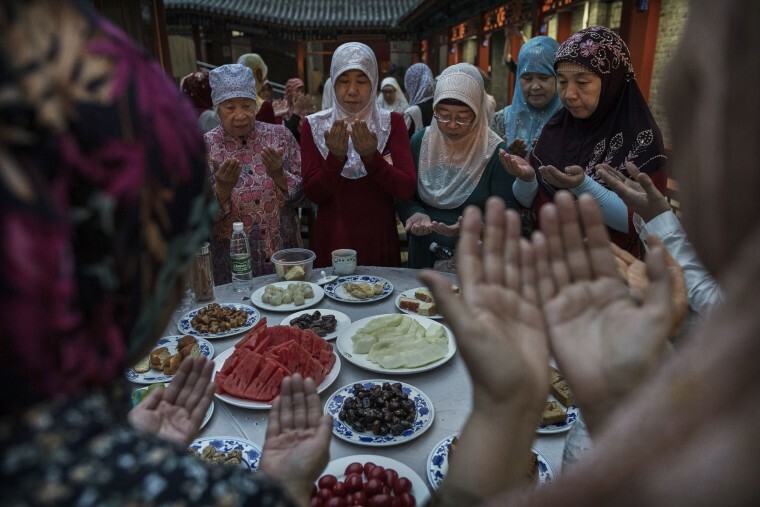 Women from the Hui Muslim community pray over food before breaking their fast during the holy fasting month of Ramadan at the Nanxiapo Mosque on June 8 in Beijing. Islam in China dates back to the 10th century as the legacy of Arab traders who ventured from the Middle East along the ancient Silk Road. The Hui, one of 55 ethnic minorities in China (along with the Han majority), have long nurtured a coexistence with the Communist Party and is among the minority groups with political representation at various levels of government. 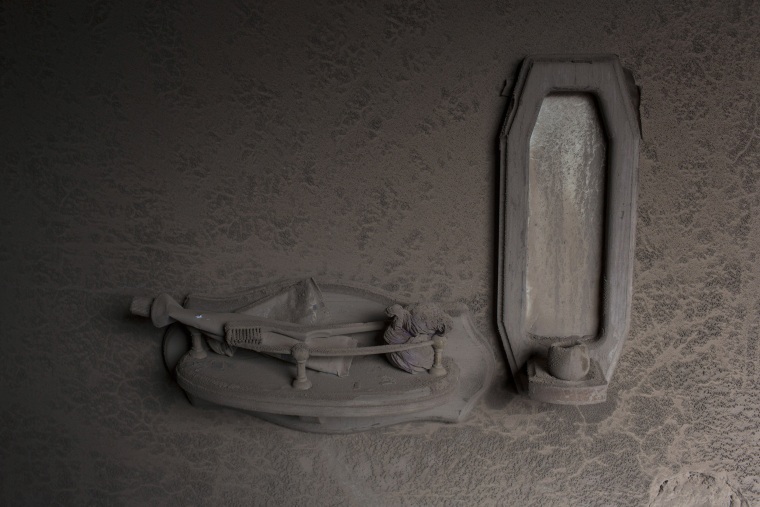 A toothbrush and toothpaste are coated in volcanic ash in San Miguel Los Lotes, Guatemala, on June 8, following the eruption of the Volcano of Fire last week. At least 110 people were killed when the volcano erupted June 3, sending waves of super-heated debris down onto nearby villages. 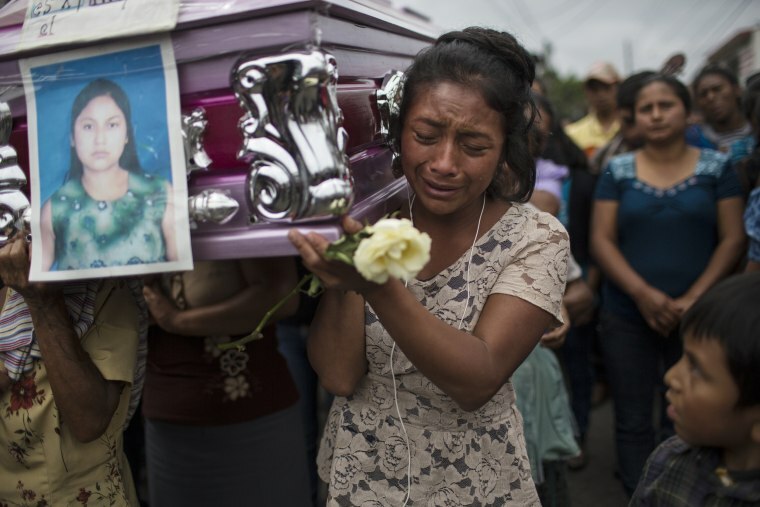 Yoselin Rancho cries as she carries the remains of her best friend, Etelvina Charal, who died from the eruption of the Volcano of Fire in San Juan Alotenango, Guatemala, on June 10. 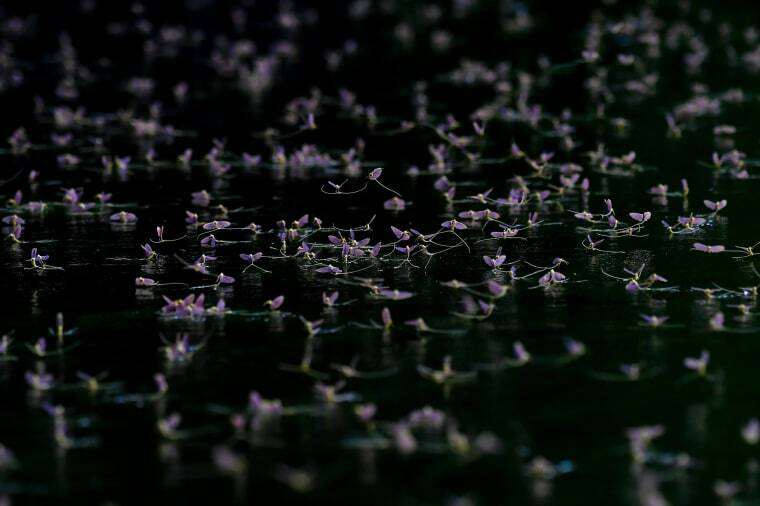 Freshly hatched mayflies hover over the surface of the Tisza river near Tiszacsege, Hungary, on June 10. Mayflies are water insects, after the females drop their eggs into the water, the nymphs or naiads spend three years at the bottom of the river before they emerge to the surface. Every year from late spring to early summer a natural spectacle called 'Tisza blooming' happens on the surface of the river as the adult insects molt their larva skins. The adult insects take flight, swarming in huge clouds, and after mating, females lay eggs on the river's surface, then both sexes perish in just a few hours. North Korean leader Kim Jong Un and U.S. President Donald Trump walk together at the Capella Hotel on Sentosa island in Singapore June 12. Clasping hands and forecasting future peace, Trump and Kim committed Tuesday to "complete denuclearization" of the Korean Peninsula during the first meeting in history between a sitting U.S. president and a North Korean leader.